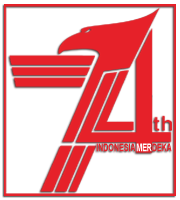 Through the excellent product quality, the ability of Indonesian artisans in creating the high artistic works can not be denied anymore. One example is the Boyolali craftsmen who became the spotlight this time. 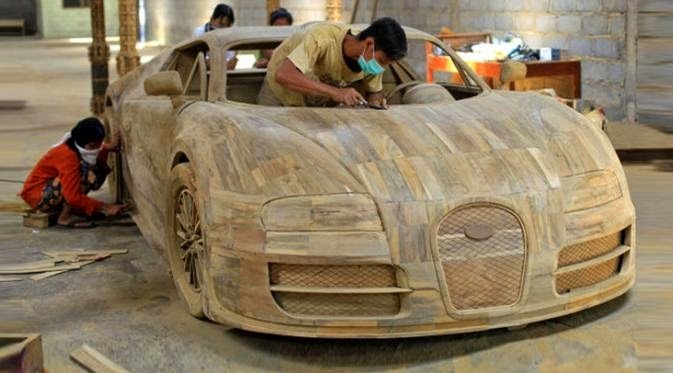 As reported by Carscoops on Tuesday, October 21, 2014, that a workshop which is located in one of the cities in Central Java - Indonesia is able to make a replica of the Bugatti Veyron 'land jet' that made ​​from genuine wood. It also explained that the replica of French luxury car was made at a scale of 1:1 and can be redeemed with a spend of Rp. 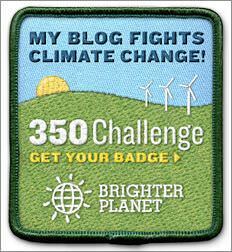 40 million (or approxs US $3,362 or €2,600). The entire body and detail of the Bugatti Veyron can be seen carefully on this high quality wooden replica. 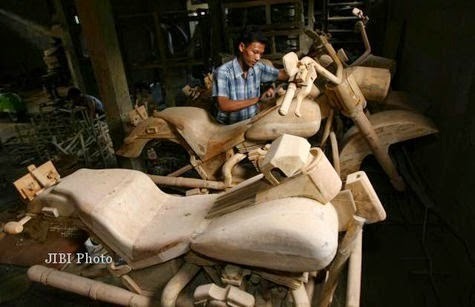 The owner of the workshop, Mr. Eko Lukistyanto, said that the life-size Veryon was made from teak wooden scraps and it has a fully detailed interior with a workable steering wheel and shifter, pedals and seats. 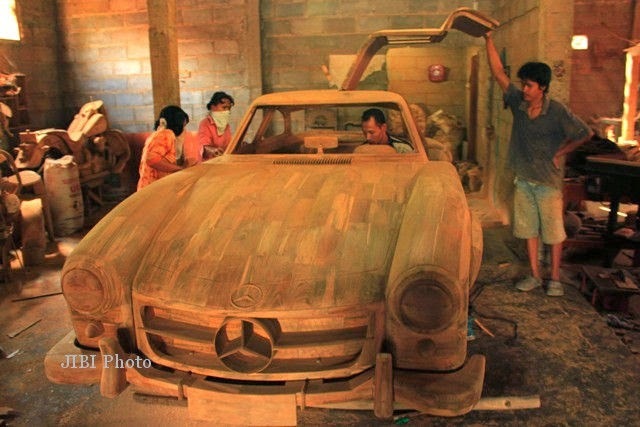 Meanwhile, the typical Indonesian wooden Bugatti Veyron is made to fulfill orders from the European buyer. 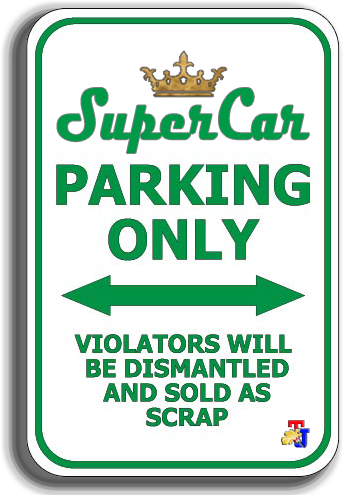 Further, the wooden car is going to be sent to the owner who was in Germany.